Could Vietnam win the battle to save the pangolin? With my eyes closed, it sounded like a scene from “Apocalypse Now”: monsoon rain pounded on the roof like bullets, fan blades throbbed as though helicopters overhead and mosquitoes whined insistently. Tham, my guide, even looks the part, with his combat fatigues, cigarette and machete. Then he starts talking about the latest casualties, some 122 in number. Vietnam has a torrid history of bloody conflict. But this new front line is part of a very different war, not to kill but to save. Cuc Phuong, Vietnam’s first national park, which was opened in 1962 by Ho Chi Minh, the country’s first Communist leader, is now home to Save Vietnam’s Wildlife, an NGO. Its location is mission critical – it is close to a cluster of trafficking routes along which animals are smuggled to China. Tham is preparing to visit some survivors. He extracts 18kg of frozen ant larvae from the chest freezer, collected by hand from forests in the south of the country (to local Vietnamese ant eggs are a delicacy, to be eaten in rice or salads, and cost nearly $10 a kilo). As we wait for the compressed blocks to defrost, the sky darkens from mauve to plum and I can hear gibbons from the neighbouring primate rescue centre begin to howl like a choir of soprano wolves. Tham puts on his head torch. We are ready to go. He swings his light up into the overhanging flame trees, checking for snakes; kraits and vipers had been known to drop onto the path. I am more worried by the super-sized insects crawling everywhere: poisonous centipedes, biting crickets and spiders. I had been told to wear flip-flops and my feet prickle with vulnerability. Only once Tham has unlocked the door to an unlit concrete corridor am I allowed to change into boots that have been disinfected (I shake them out first). Twenty-four numbered hatches lead to pens on either side. Each has an underground sleeping chamber, with a tunnel leading up to an exercise yard, filled with branches for the inmates to climb. Squatting on the floor, Tham weighs out individual larvae portions in grams. Trying to ignore the jade-eyed spiders skittering up the walls, I unbolt my first hatch and stare inside. A ball of overlapping scales, like a football-sized artichoke, unfurls and peers at me with bleary eyes. It looks like a dinosaur, the living face of the Cretaceous period. I place the bowl of food inside and the pangolin sniffs the air with its long nose and cautiously shuffles closer, walking on hind legs, balanced by a wide tail, with clawed front feet tucked up under its chin – a nervous, toothless T-Rex. Unfurling a pink tongue the length of its body, it hoovers up the meal. The pangolin’s evolutionary position as the Earth’s only scaly mammal has turned it into the most trafficked type of animal in the world. The 122 anteaters at the centre tonight are among the lucky few rescued from a global network of some 160 international smuggling routes that funnel hundreds of tonnes of animals and scales, many of them to China. There, pangolin scales are used in traditional medicine: the state supplies 26 tonnes of scales to hospitals each year, and scales can legally be bought in pharmacies. Others see pangolin as a culinary delicacy. China is not the only destination – in Vietnam and elsewhere too, the pangolin is a sought after beast. 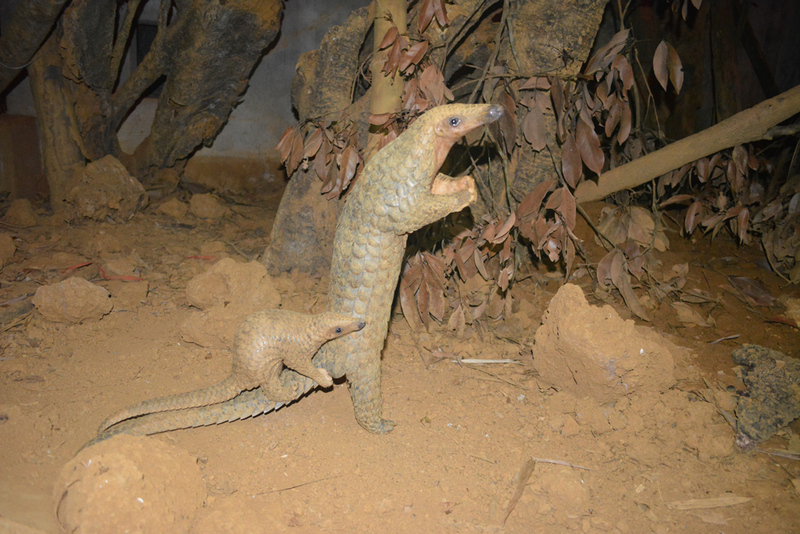 Chinese attempts to breed pangolins in captivity failed. 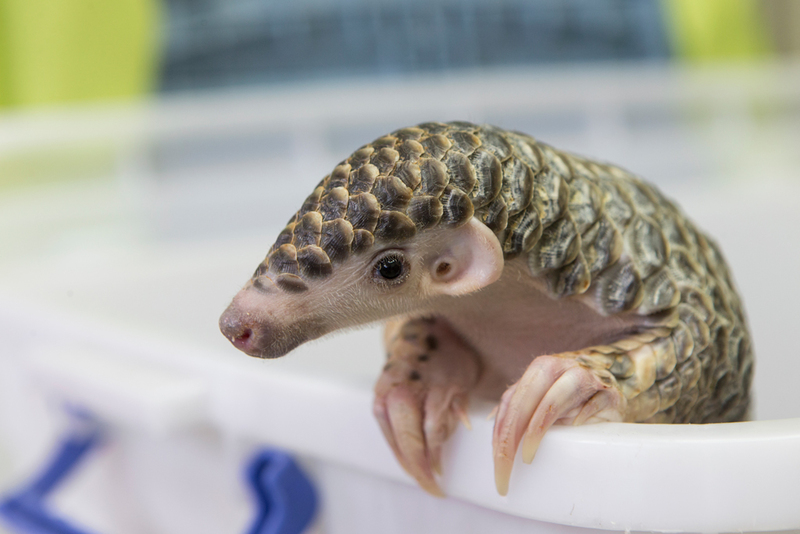 Many zoos have been unable to keep pangolins alive. The survival rate at Save Vietnam’s Wildlife is higher, partly because it provides a natural habitat for the animals, located on the edge of a tropical rainforest. At feeding time Tham proudly shows me a hand-reared orphan snuggled in a towel, as well as a mother curled protectively around her tiny new born, crusted with scales like fingernails. As I am leaving, a new pangolin arrives in the quarantine bay, the latest victim in an unrelenting battle: it is bruised and bloody, and hooked up to a drip because it is extremely dehydrated. 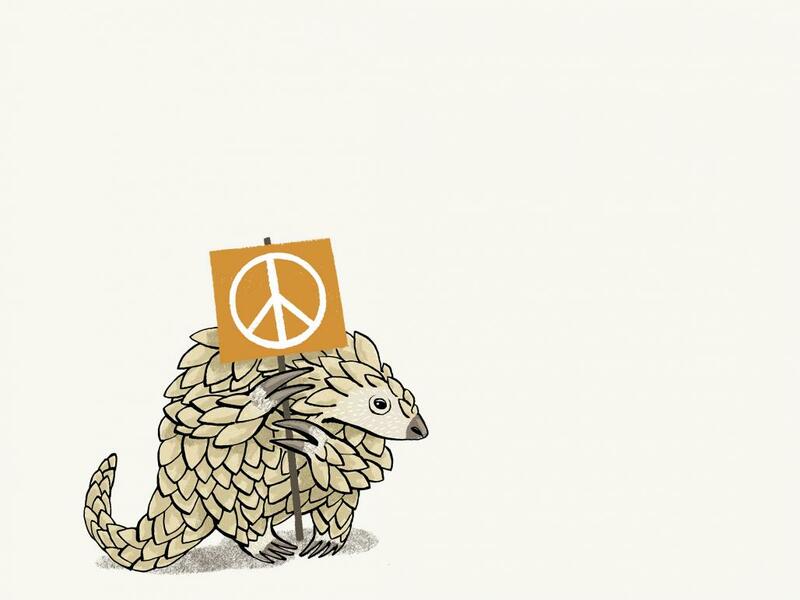 Despite the odds, this charity is determined to save the pangolin from extinction. As I walk back through the dark to my room, sidestepping amorous frogs, I reflect that the Vietnamese have a history of winning unwinnable wars. I hope their luck holds this time.